BAY AREA TELUGU ASSOCIATION (BATA) CELEBRATED UGADI SAMBARALU!! 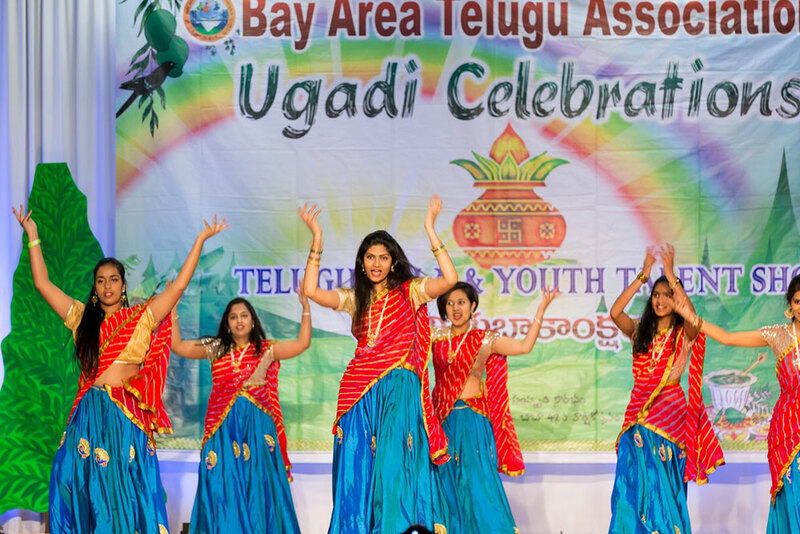 Bay Area Telugu Association (BATA)’s annual “flagship” event and the most popular event in the Bay Area Telugu community, Ugadi Sambaralu, was a grand success held at India Community Center, Milpitas, California. It was well attended by over 1500 guests throughout the day. The event started at 9AM with Youth Talent Show (Dancing, Singing, Special talent competitions), continued till 10PM with an array of cultural programs. There was a huge support from the business community. The event was Presented by MyTax Filer, Powered by You Smile Dental and PNG jewelers was the Grand Sponsor. Other Sponsors include CalHomes-RamanaReddy, Paatasala, ArjunTax, Classic Diamonds,VIP Travels, Mantri Developers & NewYork Life. Radio Virijallu & Bolly 92.3 FM were the Media Partners. The venue decorations captured the Telugu New Year, Ugadi spirit. The entry of the venue was packed with vendor tables with variety of Indian traditional jewelry, clothing, real estate, financial & tax services and food. Ugadi Pachadi was served to mark the beginning of the Telugu New Year. There was an overwhelming response to the competitions this year and they were conducted in two separate halls with over 300+ kids enthusiastically participating in classical, folk/ film singing, dancing and special talent. 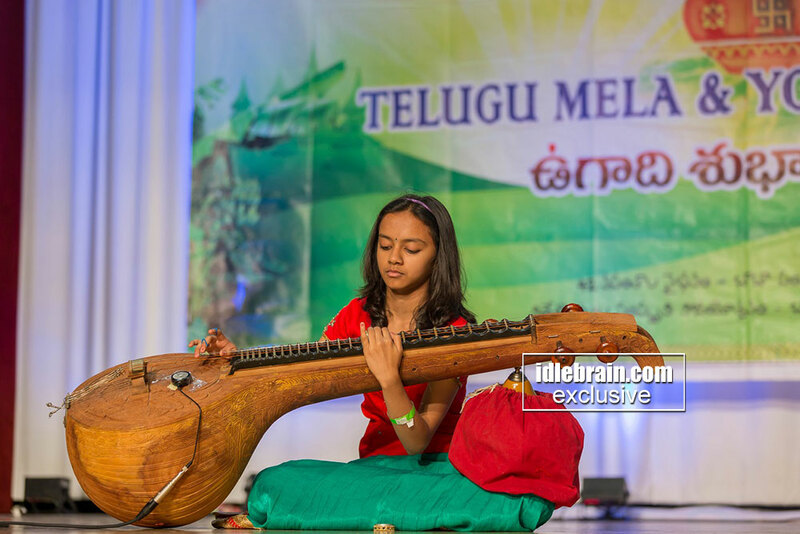 Judges, Sunitha Pendekanti, Jaya Sharma, Keerthi , Chinmanyi, Aditya, Sireesha Battula, Manasa Colluru, Sree Krishnan, Krishna Rayasam & Janaki have also noted that the quality of performances has considerably improved. Our very first live streaming of this event via Face Book pioneered by Sumanth Pusuluri and Varun Mukka was met with positive response by many viewers. The main cultural program started at 5:00 pm. Vijaya Aasuri (BATA Advisor) warmly welcomed all the guests and the curtains opened to showcase Aananda Bhairavi, Kuchipudi classical dance feat by Nityananda school of dance. Program transitioned in to Kotha Bangarulokam presenting popular, cute and talented Tollywood performances by Jhansi group, followed by Aero dance group. During the program, BATA Advisory Board member, Dr. Ramesh Konda, invited the dignitaries Mr. Jayaram Komati (A.P. Special Representative to North America), California AssemblyMember Ash Kalra, Milpitas Mayor Rich Tran and Milpitas and Vice Mayor Marsha Grilli onto the stage. The dignitaries have expressed happiness for being part of the festivities and congratulated the BATA team for their service in promoting Telugu culture. On this special occasion, Ash Kalra also inaugurated BATA’s new website which is very user friendly and mobile enabled. On this occasion 15th anniversary of Telugu Times was also celebrated. SubbaRao Chennuri thanked all the sponsors & BATA for their support. Next came the visual spectacle “SriRama JayaRama” – This is a musical dance ballet with over 100 kids, depicting the complete story of Ramayana. Concept was developed by Venu Aasuri, then choreographed by Vijaya, Srilu, Sridevi, Sirisha, and Taraka Deepti. Dances were taught for free to kids in 5 different Bay Area Locations. This was an incredible visual feast to the audience. 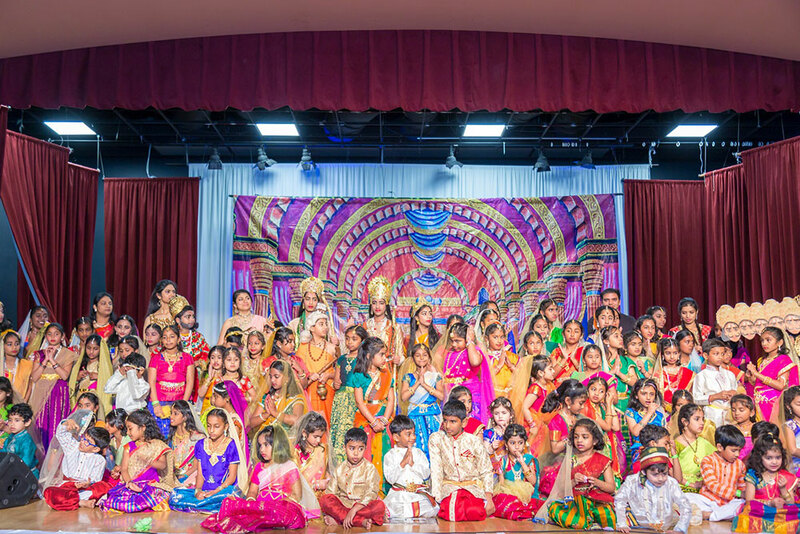 Parents were left mesmerized by the real Rama Navami spirit these little ones embodied during the play with their costumes, dances and expressions.Props which were essential for this play were created and prepared by Kalyani, Jhansi, Krishna, Karun & Hari. An energetic, refreshing and hilarious Prema Yuddham, musical comedy, swept the crowd with laughter and love. Concept by Saamanth and Sandeep. Developed by Anil, Uday and Nataraj. Paatasala team was recognized on this occasion; Paatasala is an initiative by Telugu Times and BATA to promote and teach Telugu language; the teachers & coordinators were introduced and commended for their contribution. Finally, the much awaited and one of the highlights of the evening, historical play “Palnati Bharatam” written & directed by popular stage artist Dr. Ravikumar Naralasetti Garu was revealed. He received State Nandi Award and enacted over 500+ performances. Audience thoroughly enjoyed the play with its poetic “Padyamulu”, which are key and very special ingredient to Telugu Pouranika & Historical dramas. Dr.Ravi NaralaSetti, Subba Rao Chennuri, Prasad Mangina, Kalyan Kattamuri, Chakrapani & Madhav Danturti played the lead roles. Sameer Mandalika supported on KeyBoard. BATA committee thanked and recognized the sponsors on the stage for their continued support. Annual Magazine “Telugu Velugu - తెలుగు వెలుగు” was released. Prasad Mangina (Editor) thanked the authors who contributed with articles, poems & sponsors for the ads. BATA president Dr. Sireesha Battula thanked the audience and participants for making this yet another grand event. She applauded all the volunteers for toiling hard to make it a grand success and thanked Bata team for their support during her term as President. “Steering Committee” includes, Ravi Thiruveedula, Kamesh Malla & Sirisha Battula. “Cultural Directors” includes Sridevi Pasupuleti, Srilu Veligeti and Taraka Deepti. “Nominated Committee” Prasanth Chinta,Varun Mukka, & Hari Sannidi. BATA “Advisory Board” Jayaram Komati, Vijaya Aasuri, Veeru Vuppala, Prasad Mangina, Kalyan Kattamuri, Karun Veligeti and Ramesh Konda congratulated the team for making the program a grand success.